RGB Fish Tank, Aquarium, Fountain, Pond WATERPROOF LED Light KIT - VOLKA Lighting Pty Ltd. These kits contain everything you will need to set up your own colour changing strip lighting. Simply connect the LED strip and power supply to the controller plug it in and away you go. Please keep in mind that LED Controller and Power Supply are non-waterproof, thus could be damaged by water and not recommended for outdoor use. Delivery was fast. Lights up the aquarium really well and fish are happy. other led lights seemed to be too bright for fish. Great product and will use again. Product was delivered in a swift manner & was exactly as described on ebay. I will use this Business again..
Waterproof, flexible and colourful ... what more could you want?! 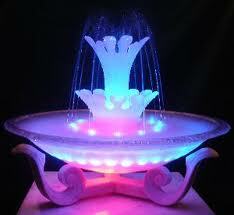 Click the button below to add the RGB Fish Tank, Aquarium, Fountain, Pond WATERPROOF LED Light KIT to your wish list.